I agree, there are no strict legal requirements for this to happen (landlord/tenant discussion), but District has opted to meet with Wellburn’s and Welburn’s Sublease tenant (Rolf’s Cook Street Barber). In terms of the CALUC meetings: anyone can actually attend these as they are open to the general public. Usually they solicit feedback from those in attendance via requests for comments, straw polls, etc. The feedback from all in attendance is summed up in a letter to the city that becomes part of the application process. Staff are telling people who question that "we're all good! Our lease runs to 2030!" I would say the owner is selling the staff a bill of goods so they don't start looking for new jobs. Even if it was "good till 2030", I think there are ways around that, which may be what this meeting was about. Maybe offering Wellburns first right of refusal? Not sure the legality of a lease with new owners and demolition plans in the buildings future? Except in the part of NPNA, who bullies anyone that speaks out against the beliefs of the dear leader. Sure, but we're talking about a business that has been operating on the same premises for more than a hundred years and under the same owner for almost 40 years. If they have a decent relationship with the developer then why wouldn't the developer share the plans with them? What's the big deal? Do Victorians want every endeavour to be an adversarial drama-fest by default, just 'cuz? Edited by aastra, 20 July 2018 - 05:57 PM. No matter how old they are. Age, does not nesacerally mean it should continue... especially when that longevity is being used as an excuse for why it should. ...Do Victorians want every endeavour to be an adversarial drama-fest by default, just 'cuz? Edited by Nparker, 20 July 2018 - 08:38 PM. 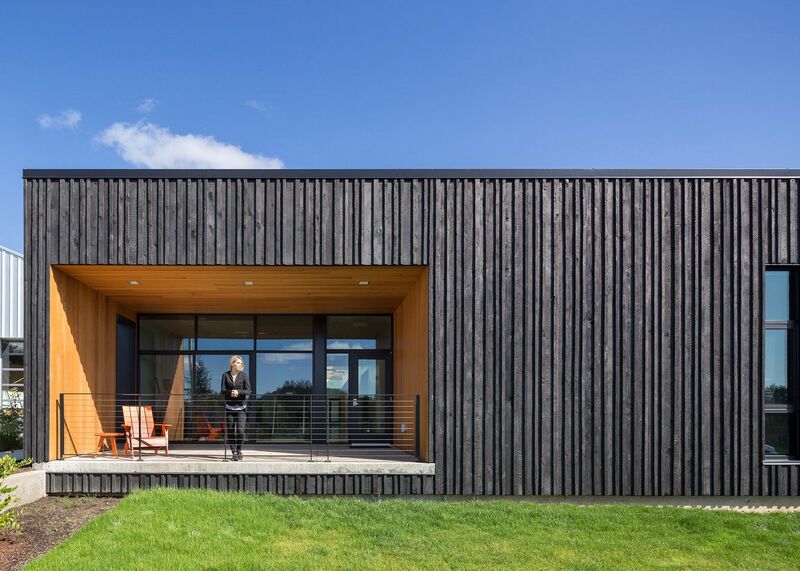 MG Architecture is also known for extensive use of wood, including tall wood buildings. I hope that wood is used in the 6 storey portion of this development to really make it a unique part of North Park/Harris Green! The NPNA is going to loathe this. WAY too "gentrified". I like the concept of contrast between old and, but that just doesn’t work. There also needs to be some sort of logical connection or transition between the two and I don’t see that either. Finally the top looks too similar to apartment blocks built in the late 70s, early 80s, just jazzed up a bit. Thanks for the update! Hope this one evolves a bit, exciting potential for this corner. Don't mind the little section at the end but the main part looks too dark and too monotonous for that length. 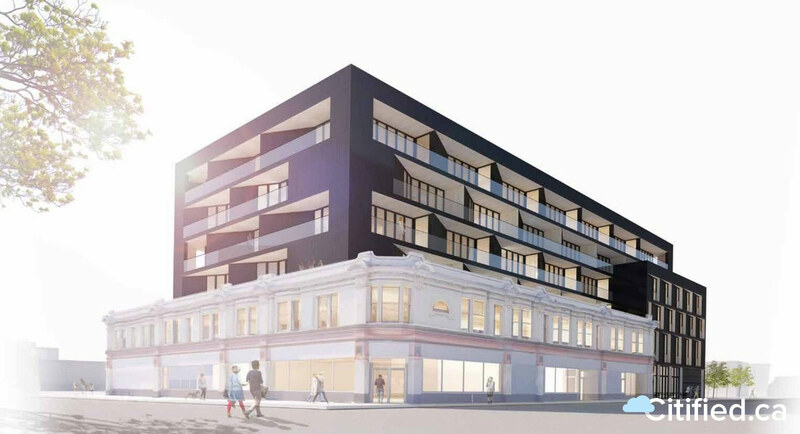 The design harkens back to the developer's proposal adjacent to the Scott Building. It looked better next to the Scott Building. Does not mesh with Wellburns at all. That rendering is grotesque. Hopefully there are some better renderings for the announcement tomorrow. There's no way they can actually be proposing something that bland and uniform. Curious as to what will happen to the roof of the Wellburns building - will it be a common space for the residents? I suspect this is it. There may be more angles, but this is the gist of the design. I suspect this...is the gist of the design. It feels very "preliminary"; like an advanced massing study more than a detailed rendering. Based on the architect, I am going to guess that the lighter ceilings are wood. I wouldn't be surprised if the black is actually burnt wood, i.e. what we saw on the first submission of the Rhodo in Fairfield. Could be quite striking, and a welcome reprieve from spandrel!